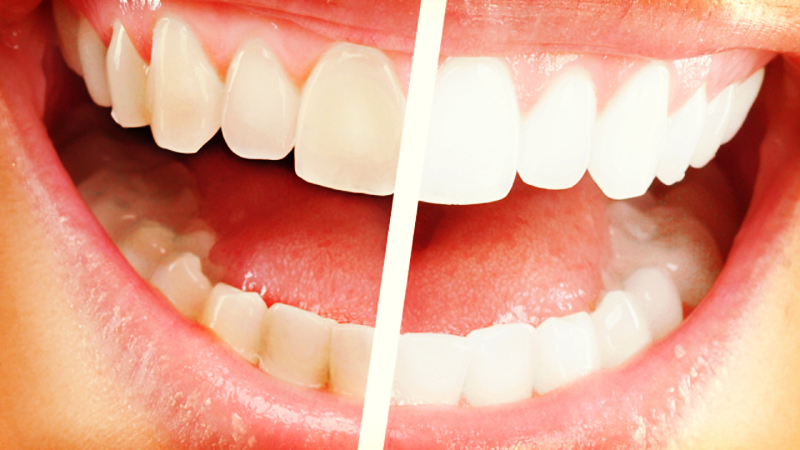 Teeth whitening or bleaching is very popular because of its quick and dramatic results. Teeth whitening is a chemical process (hence the term “bleaching”). Teeth are very porous kind of like a sponge. The process of removing stains and residual molecules from these pores is considered bleaching or whitening. The most common enemies to white teeth are coffee, tea, wine, smoking and caramel-colored beverages. Over time, these substances tend to discolor your teeth. Tooth discoloration isn’t something you see right away, kind of like aging however, once you do become aware of it, you want to fix it. Fortunately, because of the popularity and success of teeth whitening, there are many methods available to you. Many people opt for over-the-counter whitening options like Whitening Mouthwash, Whitening Toothpaste, Whitening Strips (like Crest Whitestrips) and Whitening Trays (like Opalescence Go). The rise in popularity for these over-the-counter remedies is due mainly to their lower cost. We offer the best products in each of these categories based on what has worked for our patients. These products are ideal for someone who doesn’t have a lot of staining and is mainly looking to “touch-up” their teeth a bit. We do not recommend using any of these products if you have sensitive teeth or gums. Bleaching is a chemical process and can cause severe sensitivity. If you are using Sensodyne toothpaste or any other kind of remedy for sensitive teeth, be aware that whitening will worsen your sensitivity. If you have sensitive but discolored teeth, all is not lost. Dr. Hoyt can form custom trays to fit your teeth that will allow you to use a professional whitening product. Professional whitening systems are the industry standard for teeth whitening and are always the number one recommendation. The reason for this is that the doctor can control where the bleach is going. 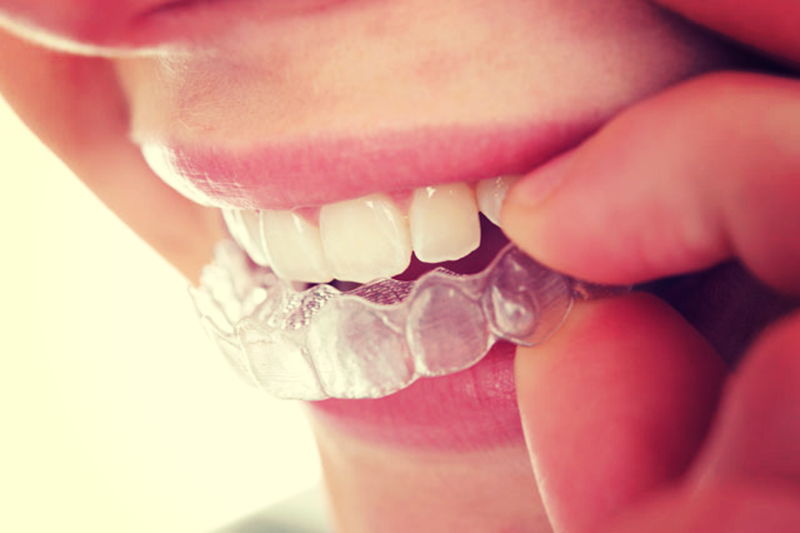 Using a whitening tray that has been custom formed to your teeth is the best way to avoid gum sensitivity. The tray is formed by taking an impression of your teeth. We then fill the impression with plaster. The plaster is removed and painted with a finer stone on the areas of the teeth to be whitened. This ensures that when whitening gel is added to the trays with a syringe, it flows into specific pockets around the part of the tooth to be whitened. A special plastic is then vacuum formed to the plaster “statue” of your teeth. The gum area is then removed from the plastic tray and the trays are smoothed and polished for your comfort. Whitening trays are the most efficient way to whiten your teeth. Wearing a whitening tray for 10 minutes per day for 1 week will whiten your teeth several shades noticeably. You are able to whiten your teeth from the comfort of your home with a custom fitted product and will obtain better results without enduring painful sensitivity. Another professional whitening system is Zoom Whitening. This product was developed for in-office whitening and takes about 2 hours. At Hoyt Dental, we offer you the option of watching a film while you wait. This solution is also a great option for people with gum sensitivity or other concerns. A special covering is formed to your gums and they are sealed from the are of the teeth to be whitened. Your lips and cheeks are held open for you and gauze is placed around them for protection. A whitening solution is then applied to your teeth and the special Zoom! UV lamp is aligned to your teeth. You wait as the light finishes a cycle and then the whitening solution is removed from your teeth and replaced for another cycle. After a couple cycles your teeth are considerably whiter. 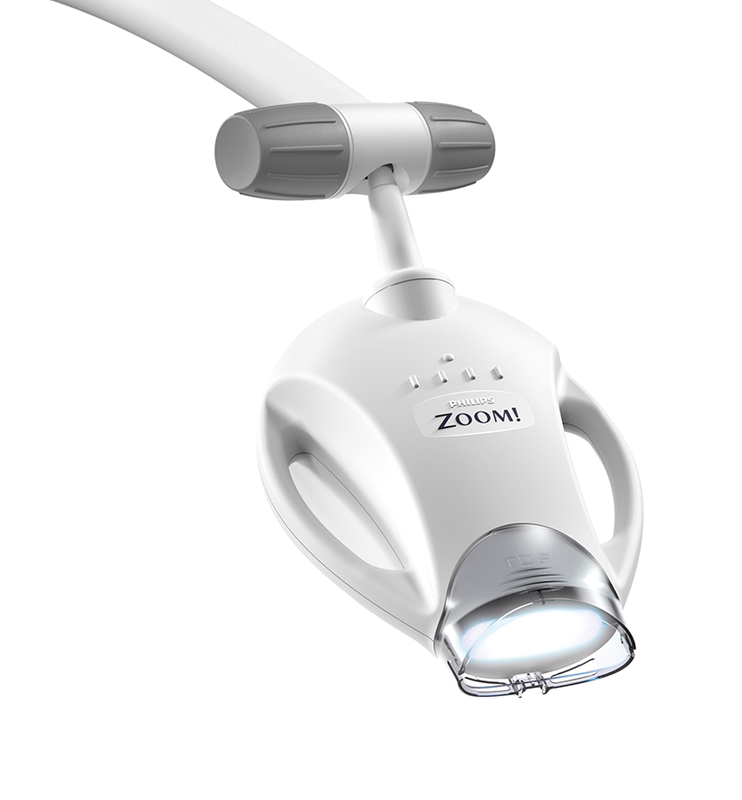 The Zoom Whitening method certainly has the most “Wow” factor as the whitening happens almost instantaneously. You go in for the procedure and the same day you have whiter teeth. This system was developed by the dentist from ABC’s Extreme Makeover for same-day whitening. We also provide same-day makeover services above and beyond teeth whitening. As you can see, bonding is a makeover type procedure that gives you a huge difference for a relatively small cost. Contouring and Reshaping is very similar to bonding and many cases they are done together. If bonding is adding tooth, contouring and reshaping is taking away. The easiest way to think of contouring and reshaping is having your nails done. You have your nails filed and shaped and polished until they are a perfect shape. The obvious difference with your teeth is that the dentist is not using a nail file. Using the same polishing cups on a hand-piece as when you get a filling done, the doctor will shape and polish your teeth until they are perfect. Interestingly, one of the first things dentists learn in dental school is how to shape and sculpt teeth. They learn the different natural curvatures and contours of teeth and practice forming teeth almost from day one. Dr. Hoyt has a lot of experience not just in dental school but in his almost 30 years of practice that ensure a perfect finish. Contouring and Reshaping is really about the overall smile and look of your teeth as a whole. Whether you need a filling because you have a cavity or you currently have amalgam (metal) fillings in your teeth, they can be replaced with a tooth-colorer composite material. Composite or resin is the same material used in bonding and produces a very strong bond with the tooth. It feels and looks natural and is the preferred filling material chosen by patients and dentists alike. The procedure is not painful and Dr. Hoyt guarantees your satisfaction by restoring your tooth to its natural condition. I am interested in bonding and reshaping. Hi Teri, bonding and reshaping is a great way to go (that’s what I’ve had done as well!) and sometimes can even be more durable than veneers. Don’t hesitate to get in touch for an appt!